This class is free but please register so we know how many will be attending. 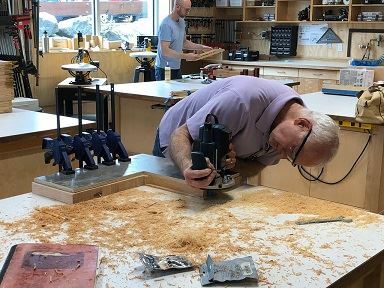 Designed as a user's guide to BARN's Woodworking & Small Boatbuilding Studio, this free orientation session is required for all who wish to work in the Woodworking Studio. It will cover everything from shop etiquette to specifics of how to use the shop's dust collection and compressed air systems. Overall BARN policies, as well as shop-specific ones, will also be covered. Participants will also learn about the leadership structure within the shop and about opportunities to participate in helping everything run smoothly. Volunteer jobs range from serving as safety monitors to helping on Maintenance Mondays. This class is free, but please register so we know how many to expect.